Polyvinyl chloride, or PVC, undergoes a hardening process known as thermosetting before it begins its life as a common plumbing pipe material. This process gives the substance a hardy resistance to numerous chemicals, including bleach and even harsh drain openers. In short, it is safe to use bleach on PVC pipe, but you'll benefit in the long run if you know the basics "dos" and "don'ts" of treating PVC with various types chemicals. Household bleach, or sodium hypochlorite, is generally used to whiten, remove stains and disinfect. There are numerous reasons to apply bleach specifically to your PVC pipe. You can use household bleach to clean the outside of your PVC pipes. Commonly, household bleach serves as a drain opener for clogged pipes as well. This is a bit of a misnomer. While bleach is a great way to clean and disinfect, it does not dissolve things like hair. However, bleach does remedy algae growth on the inside and outside of PVC pipes. You can pour bleach down the drain to without worrying about the safety of your PVC pipes. 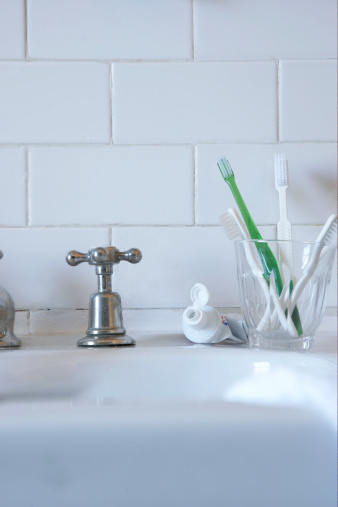 Just know that you should always run warm water down the drain afterward. Though PVC piping can resist 100-percent sodium hypochlorite, it's always a good idea to use diluted bleach or a bleach solution. Dilute liquid bleach with water using a 1:2 or 1:4 ratio when cleaning the outside of your PVC pipes. You can also safely use calcium hypochlorite, or bleaching powder, on PVC pipes as well. PVC has a very strong chemical resistance, which makes it ideal for use in chemical storage tanks, drainage systems and sewage systems. PVX has good to excellent chemical compatibility with ammonia, a common ingredient in many household cleaners. You can also use cleaners such as soda ash and borax, or sodium carbonate and sodium borate, on PVC pipe safely. Many chemicals that find themselves down the drain – such as citric acid, detergents, dyes and glucose – have no ill effects on PVC pipe. Though generally resilient, PVC's chemical composition isn't infallible. Chemicals such as acetone and phenol, used in nail polish remover and paint strippers, can have severe effects on PVC pipes. Avoid applying any chemicals from the ethyl group – including ethylene bromide, ethylene chloride or ethylene chlorohydrin – to PVC pipes. Never pour lacquers, pine oil, sulfuric acid or turpentine down drains connected to PVC pipes. 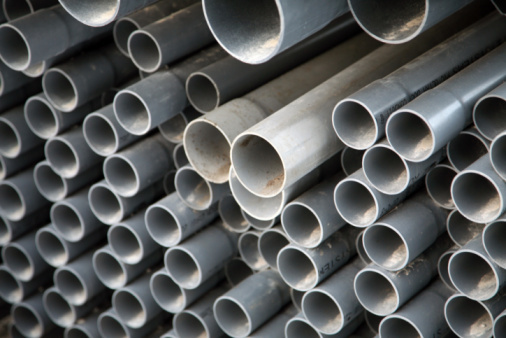 What Is the Difference Between PVC & CPVC Pipe? Can You Use PVC in Underground Plumbing?